Self-education and learning by doing are the most used ways to learn for product people. Product management coaching is a new concept in our field with the majority of product people never had a PM coach. Product management profession lacks structured educational and professional development path defined. 2 weeks ago I asked product professionals to fill in a quick survey regarding their learning habits. My goal was to find out how product people learn and improve professionally. In recent years practicing product in different companies, I've experienced several "agile transformations." The most successful benefited from having agile coaches on board who'd help businesses with process changes and new skill(mind)sets. Lately, I was talking to an Agile coach and wondered why Product Management doesn't benefit from the same approach? Or does it? The results of the survey showed self-education and learning by doing are the most used ways to learn for product people. This is hardly surprising. Only 25% of respondents ever took a professional training. This result shows the need for improvements both on an employer part with a more structured approach to PM education. As well as on a training suppliers side to provide more accessible options for product people. Only 5% of respondents ever tried a PM coaching. 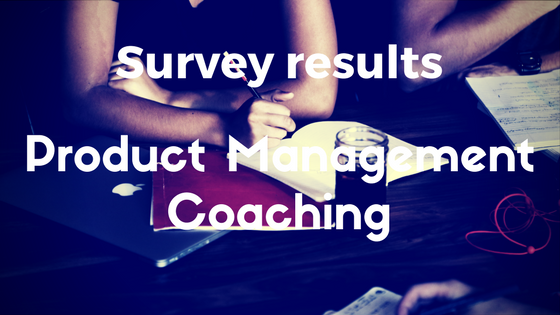 While 37% think such coaching might significantly benefit their product career. Surprising results came in the education budget section. Where 42% of respondents said they don't know their education budget. Those results show professional development for product people is still not a "common good." This might have to do with the lack of understanding of the role by senior management and thereof lack of an education plan. Professionals who have and know their education budget think PMC could fit in or could be somehow accommodated. Despite receiving only about 20 answers to the survey I find results fascinating. I believe our relatively small product community needs to share best practices regarding our craft more extensively. The answers mostly came from experienced product professionals who have more than 3 years of experience. I am not closing the survey yet and hope to get more responses. Particularly interesting would be to get some insights into how aspiring PMs learn the craft before or while transitioning into a product role. The establishment of Product Management profession is still ongoing, especially in Europe and Asia. Self-education and learning by doing are two the most used ways to learn for product people. Product management coaching (PMC) is a new concept that certainly underutilized in product management.